We create innovative custom tube packaging box for all of the world, here is one large and fancy with design for Russian market as to contain cosmetics. 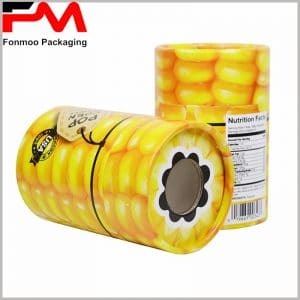 As for containing valuable cosmetic goods, the quality of the package is very important, that is why for this tube box we use 300g high density cardboard for the main structure and decorate it with 80g double chrome paper, on which the design is realized by full-color printing, hot gold stamping with golden powder to give a luxury appearance. This tube box can be applied for cosmetic cream, powder, and even skin essential oil, and is customizable in any dimension. As we are manufacturer for round tube box during years, it is our specialty to offer you any kind of tube box you need with good price and small moq. What you need to do is just contact us and tell us your needs, and our team will provide corresponding customization of such custom fancy printed cardboard large cosmetic tube packaging box for you.